​while their kids are being kids." aOwner Dean Regas, and his staff, set the tone in this beautiful 165-acre facility less than an hour west of Chicago. Since opening day in 2007, the whole philosophy behind Silver Spur Ranch has been, ‘keeping it fun, keeping it safe’ for boarders and their horses alike. A place where you can relax knowing your horses are getting the best of care everyday with no detail missed and no add-ons or extra charges hiding behind your full service monthly fee. Looking for lessons under a high-quality trainer? Silver Spur has two trainers on the property who are excellent with any age group and specialize in hunter/jumpers and pleasure riding. Organize lessons of your own with either of them if you wish; they are available 7 days a week to suit your schedule. It’s totally up to you. 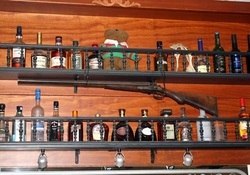 You might just find a family-friendly party underway in the Saloon or on our patio. Or, you might like to rent the space for your own party, anniversary, or office function. It’s up to your imagination. Whether your event is for 5 or more than 100, we can cater and decorate for you or simply stand back while you take the reins. The only thing boarders might notice missing at Silver Spur Ranch is high drama. Instead, like a family, personalities blend. Those wanting beauty, peace and space enjoy our trails, services, and amenities just as much as those focused on fun and friendship. Shy, silly, sweet, or sassy, at Silver Spur Ranch, there is room for all and all are welcome. We grow all of our own hay so you can be certain of its quality and consistency year round. The manure is spread daily, so there are no stock piles that attract flies or create unnecessary odors. The farm manager and several workers live on-site at the facility. Therefore, as a boarder, you can rest assured your horse is safe and the barn is watched 24/7. And, of course, you’ll always have access to your horse. Trailer parking on the property is free to boarders. ​Our philosophy of “keeping it safe, keeping it fun” applies to your horse as much as it does to you. ​No matter what kind of riding you enjoy, you’re likely to find one or more of your favorites at Silver Spur Ranch. From the challenge of a vigorous exercise session or the quiet joy of a trail ride, our boarders enjoy it all. Outside the main barn or you might choose our 1/2 mile grass track for some sweat inducing physical exercise. Then calm yourself and your horse with a leisurely ride along wooded trails and across creeks. All this is yours without even leaving the ranch! We are committed to offering the best environment for your horse, day and night. When you aren’t there to see to their needs, you can trust they are being well cared for. As a central part of this commitment we offer all day turnout in one of our many corrals – with and without limestone footing. Some accommodate one horse while others are large enough for up to five horses. 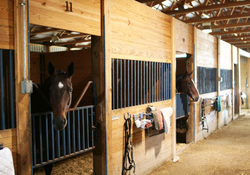 In addition, we have two 10-acre grass pastures for horses that can be placed in groups. © 2017 Silver Spur Ranch. All rights reserved.